Our Tampa Bay Buccaneers Fan Guide covers a wide variety of topics including: history, famous rivalries, talking points for the season, fantasy football names, and this year’s schedule. In 1976, the NFL expanded to 28 teams, adding the Seattle Seahawks and Tampa Bay Buccaneers. While this should have been an exciting time, things along the Gulf coast of Florida weren’t so great. The Buccaneers lost its first 26 games over two seasons. The Bucs suffered through 14-consecutive losing seasons from 1983 to 1996 and have only 11 winning seasons in 44 years. They won their lone Super Bowl appearance in (SB XXXVII in 2002), but have since slide back into their losing ways, having missed the playoffs for 10-straight seasons. The best stretch of success in franchise history came in the late 90s with the arrival of Hall of Fame head coach Tony Dungy and the development of the “Tampa 2” defensive system under defensive coordinator Monte Kiffn and linebackers coach Lovie Smith. The emergence of defensive stalwarts Warren Sapp, John Lynch and Derrick Brooks carried the team to a Super Bowl title in 2002. 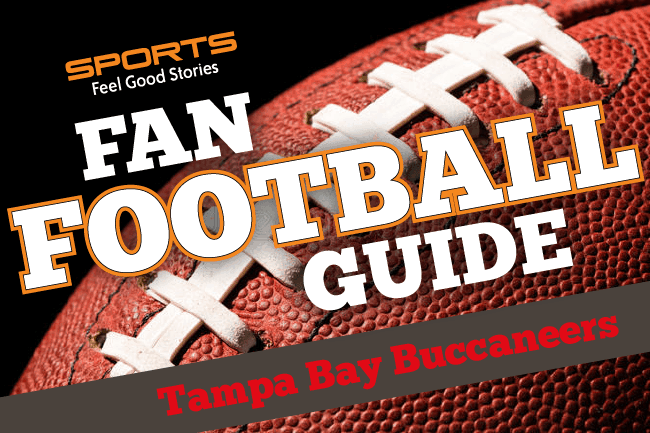 Enjoy our Buccaneers Fan Guide. The Bucs have a replica pirate ship behind the north end zone at Raymond James Stadium. This pirate ship comes complete with a replica cannon that gets fired at the start of the game, every time the team enters their opponents red zone, and once for every point the team scores. You’ll find plenty of the classic stadium fare at the Ray-Jay, like burgers, dogs, nachos, etc. But you should forego all those and make your way over to one of the “Taste of Tampa” locations spread throughout the main concourse. There, you can order a Classic Cuban Sandwich, with a side of Yuca Fries that come with their signature “Boom” sauce. You won’t be disappointed. You should also make your way over to the newly renovated portion of the stadium known as the East Stadium Club. It features a 8,000-square foot bar and restaurant, with over 35 beers on tap, including local craft brews that incorporate the flavors of Tampa Bay. Gerald McCoy: https://twitter.com/Geraldini93 (Also, check out a snapshot of McCoy’s home life). Bucs vs Saints – These two teams have been in the same division since the NFL’s realignment in 2002. In the 51 all-time meetings, New Orleans holds a 32-19 advantage. The biggest moment for the Bucs in this rivalry was in 1977, when Tampa Bay registered its first franchise win ever by beating the Saints in New Orleans 33-14, snapping a 26-game losing streak. Then Saints quarterback Archie Manning said it would be a “disgrace” to lose to the winless Bucs, but they did. Bucs vs Panthers – Although there have only been 35 meetings between these two teams, it’s hard to find a more heated rivalry out there. Carolina holds 22-13 advantage, but what characterizes this rivalry is its physicality. Chris Simms ruptured his spleen in a game in 2006, and Kavika Pittman suffered a career-ending knee injury in 2010. There have been plenty of fisticuffs over the years, including in 2005, when a pair of Panthers cheerleaders were arrested at a Tampa-area bar. Bucs vs Packers – In what was once dubbed “The Bay of Pigs” by former ESPN personality Chris Berman, the Bucs and Packers rivalry goes back to the old NFC Central division. What characterized this rivalry the most was watching Warren Sapp chasing down Brett Farve in the 90s. Green Bay leads this rivalry 33-21-1. Can the Bucs snap a 10-year playoff drought? Losing has been the hallmark of this franchise, but things were supposed to be looking up. The Bucs were picked by many to finally end their playoff drought last season, but ended the season 5-11 instead. They missed out on the playoffs in 2016 because of a tiebreaker. How will the new defensive front perform? – The Bucs went all in on the defensive line this offseason. They acquired Jason Pierre-Paul, a local product who attended the University of South Florida, as well as former Eagles defensive end Vinny Curry. These two will be paired with dominant defensive tackle Gerald McCoy and rookie first-round pick Vita Vea. They should be a nightmare for opposing quarterbacks. Will the Bucs regret passing on Derwin James? Tampa Bay had the opportunity to address a major need in the first round of this year’s NFL draft when safety Derwin James, from nearby Florida State University, dropped to No. 12. Instead of filling an obvious hole, the Bucs elected to choose defensive tackle Vita Vea instead. It was an interesting decision, considering the Bucs have allowed the most yards-per-game passing over the last two seasons. The Buccaneers are one of the few NFL franchises to dramatically reimagine their colors and logo. The franchise started in the late 70s with a “creamsicle” orange palette, and a comical mustachioed pirate clenching a dagger between his teeth logo. These original uniforms symbolized the losing nature of the franchise through its first 20 years of existence. 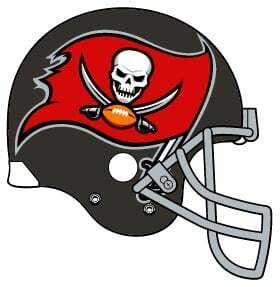 In 1997, the Bucs redesigned their logo, uniforms and colors to be more marketable with an intimidating look. They adopted pewter and black to pair with orange and red. They also dropped “Bucco Bruce” the pirate for a red wind-swept flag with a skull, cross sabres and football. The Oakland Raiders tried to sue the Bucs in 2003 (a year after the Bucs dominated them in Super Bowl XXXVII) for copyright infringement, but the case was dismissed. The Bucs have only a handful of names enshrined in Pro Football’s Hall of Fame, and of those, only three are typically associated with Tampa Bay. Now, they do lay claim to Steve Young, who spent two seasons with the Bucs before trading Young to the 49ers. Young went 3-14 as a starter in Tampa Bay. Lee Roy Selmon – The first dominant defender in franchise history, Selmon played his entire nine-year career with the Bucs. A six-time Pro Bowler, Selmon was the NFL’s Defensive Player of the Year in 1979. He was inducted into the Pro Football Hall of Fame in 1995 and was the first name enshrined in the Bucs’ Ring of Honor. Derrick Brooks – The franchise’s turnout coincided with a drafting of Brooks, as well as safety John Lynch and defensive tackle Warren Sapp. Brooks played his college ball at nearby Florida State University and helped lead the franchise to its only Super Bowl championship. An eleven-time Pro Bowl selection and nine-time All-Pro, Brooks was named NFL Defensive Player of the Year in 2002. He was elected to the Hall of Fame in 2014. Warren Sapp – The other major piece of the “Tampa 2” defense was Warren Sapp, from the University of Miami. His 96.5 career sacks (100 with playoffs included) are the second-most sacks for a defensive tackle. His 77 sacks with the Bucs are the second-most in team history to Selmon (78.5). He was the second Buc to have his jersey retired and was enshrined in the Hall of Fame in 2013. Tony Dungy – Coach Dungy wasn’t around to see the Super Bowl victory in 2002, but he navigated the franchise from its hapless waters to winning in the late 90s. Dungy’s famous “Tampa 2” defense, created in part with defensive coordinator Monte Kiffin and linebacker coach Lovie Smith, revolutionized football in the late 90s and early 00s. Jameis Winston – Everything for this franchise hinges on the play of Jameis Winston. Entering his fourth season, the questions about whether or not Winston is a franchise QB still pester the pewter pirates. He’ll need to bounce back from an injury-plagued 2017 season if the Bucs are going to snap their playoff drought. Mike Evans – Entering his fifth season, Evans has proven to be one of the elite wideouts in the NFL. He’s already rewriting the Bucs record books for receivers, and earned a big payday this offseason. Evans will need to continue to justify his worth, now that his signed a 5-year $82.5 million contract back in March. Gerald McCoy – The nine-year pro has been named to six consecutive Pro Bowls. He’s lining up this year with several new names along the defensive line, including fellow Pro Bowlers Jason Pierre-Paul and Vinny Curry. McCoy will mention first-round pick Vita Vea from the defensive interior and he should be able to lead a ferocious pass rush. Dirk Koetter is entering his third year with the franchise and is looking for a bounce-back season in 2018. After missing out on the playoffs because of a tiebreaker, Koetter might see himself on the hot-seat if the Bucs’ playoff drought stretches into an 11th season. Koetter is 14-18 as head coach of the Bucs. 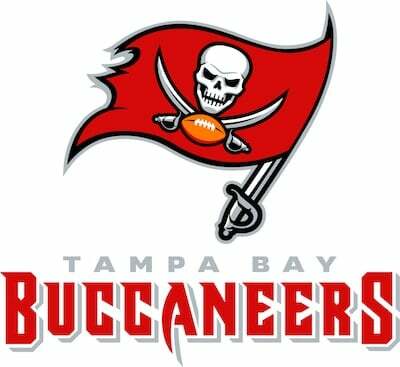 The Glazer Family owns the Tampa Bay Buccaneers, after the patriarch Malcolm Glazer bought the club in 1995. Glazer ushered in the only winning stretch in the franchise’s history at that point, but he passed away in 2014. The Glazer Family also owns controlling interest in Manchester United. Also, check out our Fantasy Football Team Names – Main Page. See other great football quotes. Q: What’s the difference between the Tampa Bay Buccaneers and a dollar bill? See more funny football jokes. The Bucs are covered locally by the Tampa Bay Times and Tampa Online. Top beat writers include Rick Stroud (@NFLSTROUD on Twitter) and Greg Auman (@gregauman). Online, the PewterReport.com covers the team with beat writer Trevor Sikkema (@TampaBayTre). You’re on the Tampa Bay Buccaneers Fan Guide.